Thomas Cook will remove all 301 of its guests at a hotel in Hurghada as a "precautionary measure" while it investigates a “raised level of illness” following the death of two British holidaymakers. John Cooper, 69, and wife Susan, 63, died during a stay at the 394-room Steigenberger Aqua Magic hotel in the Red Sea resort on Thursday (August 23). The operator said Mrs Cooper was a "loyal and long-serving" Cook employee at its Chancery Walk store in Burnley. It is understood the couple were were holidaying with their daughter and their grandchildren. Carol MacKenzie, Cook’s head of customer welfare, flew out to Hurghada on Thursday to support the Cooper family. In a statement, Cook said it would start evacuating guests from the hotel on Friday morning. Acknowledging the circumstances of the Coopers’ deaths were still unclear, the operator said the move was a "precautionary measure" while it investigates "a raised level of illness". Its 301 customers staying at the Steigenberger will be offered alternative accommodation or flights home. A Foreign Office spokesperson said: "We are supporting the family of a British couple who died in Hurghada, Egypt, and we are in contact with the local tour operator." Cook's full statement read: "We are deeply saddened by the tragic deaths of two of our customers that were staying in the Steigenberger Aqua Magic Hotel in Hurghada, Egypt. "The circumstances of their deaths are still unclear. We have also received further reports of a raised level of illness among guests. "Safety is always our first priority, so as a precautionary measure we have taken a decision to remove all our customers from this hotel. 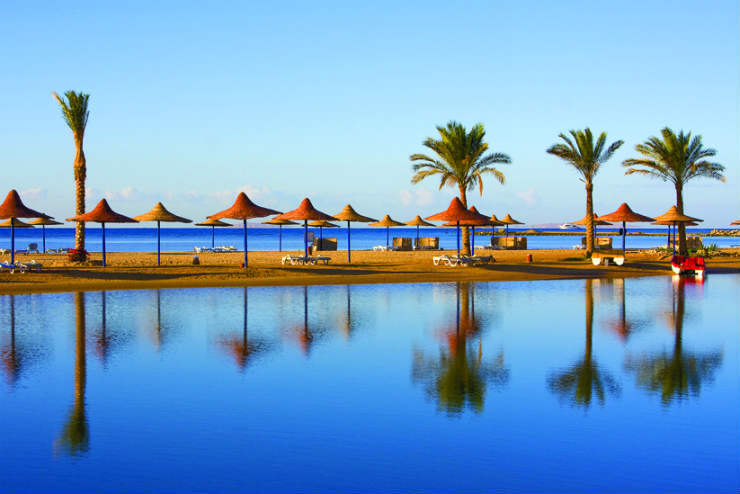 "We will be offering customers alternative hotels within Hurghada, as well as giving them the option to return home. "For those customers who choose to come home, we have made arrangements to fly them back tomorrow (Friday, August 24). "While we understand this is upsetting for those on holiday, we believe this is the right thing to do. "We continue to work closely with the hotel and are supporting the authorities with their investigations. "The Steigenberger Aqua Magic Hotel was last audited by Thomas Cook in late July 2018 and received an overall score of 96%. "We will be contacting those customers due to travel to the Steigenberger Aqua Magic Hotel in Hurghada in the next four weeks to offer alternative holiday options." The hotel is not currently available to book through the Thomas Cook website.